Congratulations! You’ve made it through your first year together. That’s a big accomplishment, and one that’s to be celebrated to the hilt. From couples on a budget to pairs with bucks to spare, here are 8 great ways to celebrate your first anniversary! 1. Pen a tune – It’s not too often someone has a song written about them (if ever, right? ), so putting pen to paper and letting your feelings flow into song form is the perfect way to show your affections. From silly to sappy, you can wrap your entire relationship into a neat little two-minute package. Have the paper framed or roll it up to store - just be sure to revisit your tune each anniversary for a little tug on the heartstrings. 3. 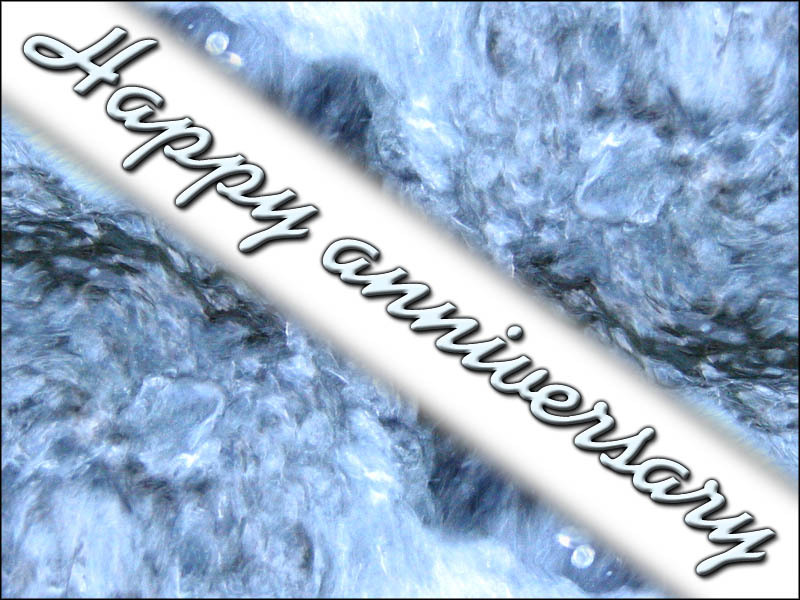 Affirm and boogie – On the night of your anniversary, take a moment to renew your vows to each other, reflecting over the past year and dreaming of years to come. Then, bust out a CD of the song you first danced to at your reception and twirl, sway or dance the night away. After all, there’s nothing like reliving a beautiful memory to bring a couple closer. 4. Get schooled – Ever want to learn something new? This is the perfect anniversary gift to yourselves. Enroll in a cooking, wine tasting or chocolatier class. Or if you’re sporty, take a dance class (ballroom is romantic, hip hop is super fun), or partake in golf lessons. The choices here are endless and classes catering to couples are all the rage. No doubt you’ll find the right one for you. 5. Twinkle, twinkle – Remember when you first met, you’d look up at the stars at night, wondering what the other was thinking or dreaming? Now that you’re a bona-fide couple, you can actually have a star (or pair of stars) named after you. How romantic will it be fifty years from now to look up at the sky and see “your” stars? Very, of course! 6. Ride into the sunset – Sure, it may seem a little clichéd, but even the most romantic fairytale couples know that horse-drawn carriage rides equal weak-in-the-knees goodness. Almost every geographical area offers some type of carriage ride, so you’re sure to find something nearby. And if you’re celebrating in the winter, a sleigh ride is just as swoon-worthy (plus you’ll have an extra excuse to huddle very close together). 7. Bejeweled – Yes, you just laid out some big coin for a wedding and/or engagement ring, but why stop there? Head to a local jeweler to pick out an amazing necklace, bracelet, charm, ring or watch to commemorate your first year together. Pick the piece together; doing so will make the bling that much more memorable and personal. You may even want to start an add-a-pearl necklace or charm bracelet that you can enhance each year. 8. Bon voyage – Did you love your honeymoon destination? Go back. Did you skip the honeymoon in lieu of a down payment on a house or a great new couch? Go now. When the sky is the limit, plan a trip to the most fabulous destination the two of you can imagine. Dine, shop and pamper yourselves silly. Let the world know you’re in love and that you value your relationship enough to treat yourselves to the swankiest or most adventurous time you can fathom. Enjoy and focus on each other – once children enter the picture, this all may change!